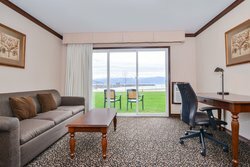 Offering the most charming and elegant accommodations in Sandpoint, Idaho, the Best Western Edgewater Resort goes the extra mile in adding special attributes and touches for our guests. Our rooms & suites are perfect for the corporate traveler, groups, families, vacationers arriving by boat, or guests simply passing through the town of Sandpoint. 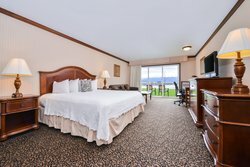 Offering stunning views of Lake Pend Oreille, our goal is to provide a nostalgic atmosphere where you can relax and rejuvenate. 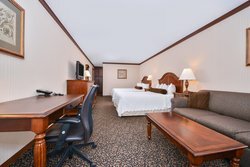 We have on-site dining available, but if you’re looking to stay cozy in your room, feel free to opt for our tasty room service! Featuring the same breakfast, lunch, and dinner menus from our on-site restaurant and lounge, you can enjoy delicious cuisine favorites all without leaving the comforts of your own room. Several of our Sandpoint, Idaho hotel rooms & suites feature premium amenities including a sofa bed, wet bar, and 2-person whirlpool tub. See below for more information. 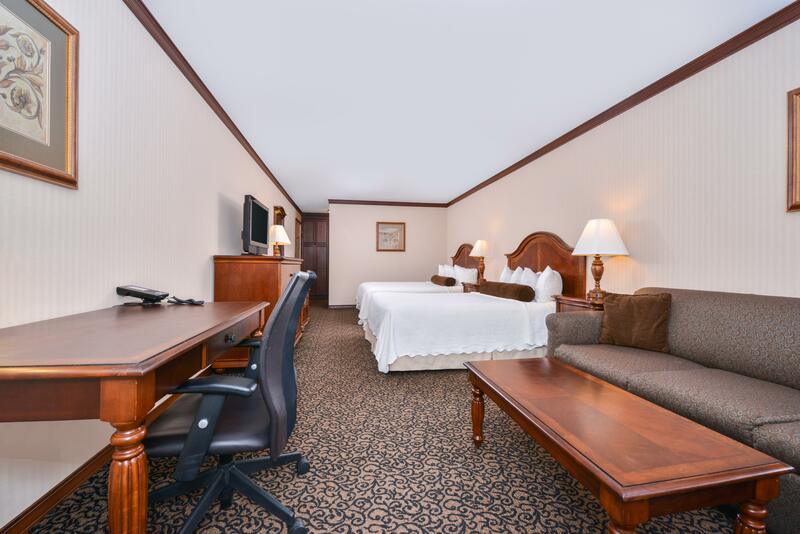 This non-smoking room offers two queen beds, perfect for traveling with companions. 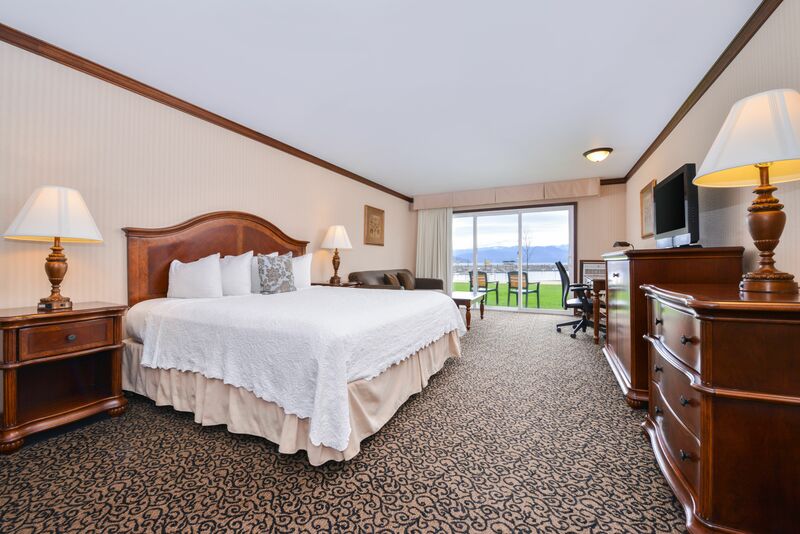 Ground floor rooms allow you to walk out onto the lawn and Sandpoint City Beach, while others feature a private balcony with picturesque views of Lake Pend Oreille. 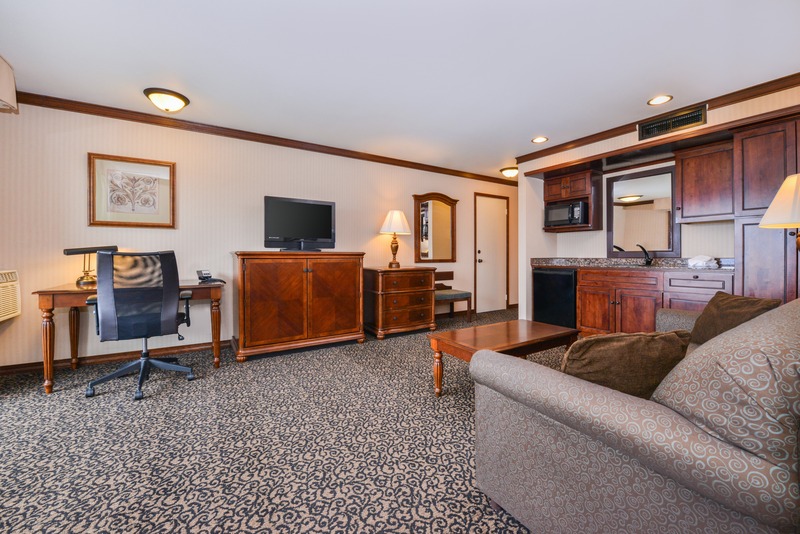 Home-like amenities including satellite-cable TV, high-speed wireless internet as well as a microwave, refrigerator and Keurig coffee maker are yours to enjoy during your stay with us. This room comes complete with 2 queen beds along with a full-sized sofa bed for accommodating additional guests. Perfect for families and small groups, spread out and enjoy the space offered by this over-sized room. These gorgeous lakeside accommodations feature a number of useful amenities including a microwave, refrigerator and Keurig coffee maker. Stay entertained with our reliable Wi-Fi and satellite-cable TV. Our king bed guest rooms offer a relaxing, yet productive home away from home. 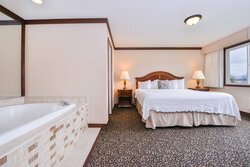 Turn the space into a lakeside office, and make use of the complimentary high-speed wireless internet as well as convenient amenities to help you stay focused including a Keurig coffee maker. 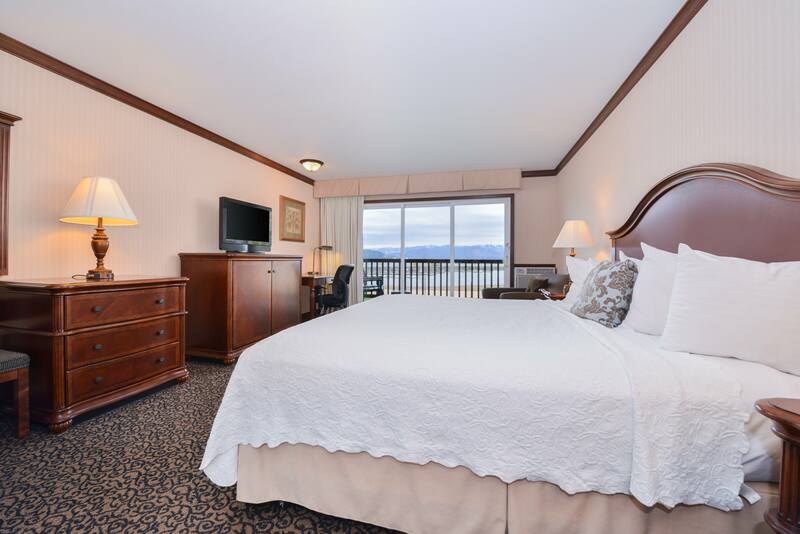 When it's time for a break, step out onto the lawn or your private balcony and enjoy spectacular views of Lake Pend Oreille or sit back with a snack and enjoy the entertainment on offer with satellite-cable access. 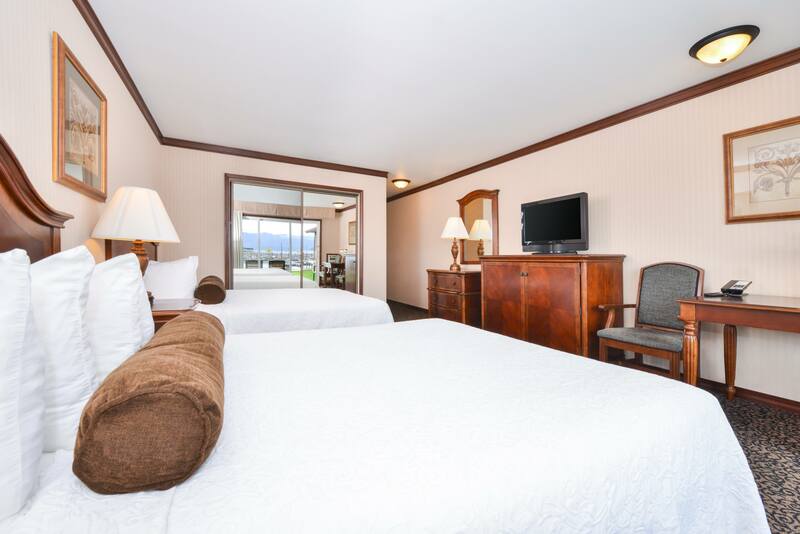 Perfect for extended stays in Sandpoint, Idaho, this guest room features a king bed and sofabed for added space and comfort. 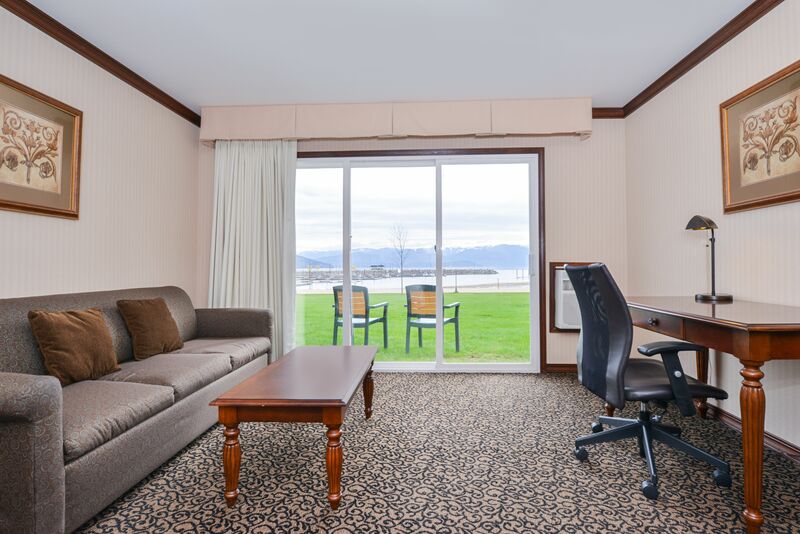 In addition to lake views and a walkout entrance onto Sandpoint City Beach, you'll appreciate the expanded kitchenette making it easy to prepare meals throughout your stay with us. 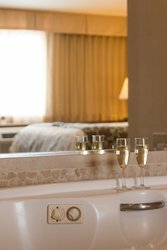 Our most spacious accommodations, the Honeymoon Suite features a number of amenities to help you create a memorable experience. 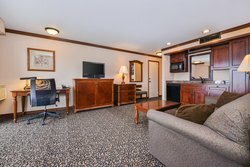 The living area includes a wet bar (not stocked) with microwave, refrigerator and Keurig coffee maker along with a full-sized sofa bed perfect for a relaxing mid-day snooze. 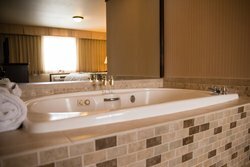 The separate bedroom offers a comfy king bed as well as a private ensuite bathroom complete with a two-person whirlpool tub for a refreshing break.